What are the mysterious qualities that make French style so very covetable? Words like "effortless" and "undone" come to mind, but we suspect it's partly the things French women don't do that make them so fashionable. And because French women are truly in a sartorial league of their own, the rest of the world is on a constant quest to emulate them. Knowing the set of guidelines they follow is the first step in achieving that effortless quality that they're known for. 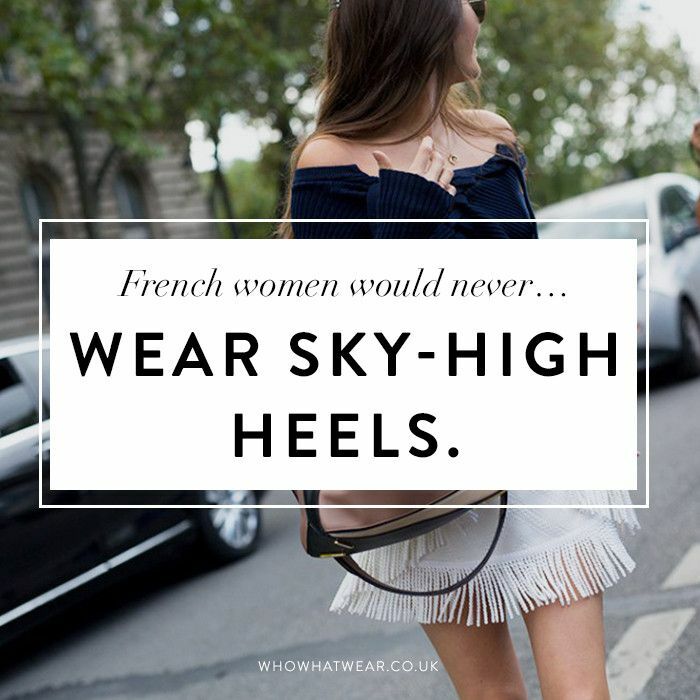 The secrets of French style are closely guarded, but we're working them out one at a time. To find out what these no-nos are, we went straight to the source and asked our favourite French style bloggers for the fashion faux pas they would never make. From the footwear style they avoid (and what they wear instead) to their philosophy when it comes to accessorising, these tips are timeless, simple and relevant to every age group. You know what else will help? Seeing our definitive list of the French fashion brands every girl should know. Read on for your master class in je ne sais quoi. See the 34 French fashion brands every girl should have on her radar, plus the eight fashion rules French women stick to. This article has been updated by Hannah Almassi.